The National Trust is a remarkable institution, set up to preserve properties and areas of historic significance so the public can continue to enjoy them. And with affordable annual memberships appealing to individuals, couples and families alike, National Trust sites are popular with people of all ages. But just which is the best? How do we decide? Do we revert to TripAdvisor? Google Reviews? Ask the National Trust itself? We think we can do better. 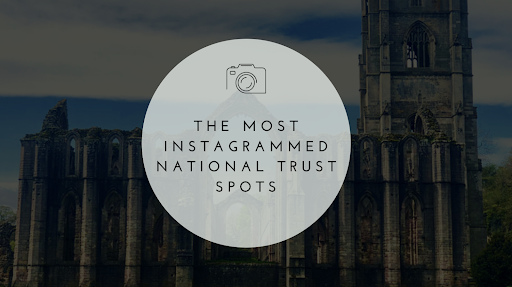 So we’ve determined the must-visit National Trust sites based on how Instagrammable they are, looking at National Trust properties in England and Wales with gardens/private outdoor spaces. While Tatton Park takes the first spot by some way, it’s a closer call between positions 2 to 5. 3 of the top 5 are in Cheshire while North Yorkshire is home to 2 of the top 10. So if you’re planning your next “staycation,” then somewhere in those areas is a great call for National Trust fans. We reviewed a list of National Trust properties on the official website and ruled out any that don’t have private gardens or outdoor spaces of some sort. We weren’t looking for open stretches of coastline or moors, as beautiful as they are. We focussed on properties with gardens or outdoor space. We then manually identified the biggest hashtag on Instagram (by manual search) and checked the number of times the hashtag has been used. This isn’t based on location data (which isn’t as readily available). So there could (and likely will be) other images of these places not hashtagged. And we did encounter a funny one – Stoneacre in Kent. Search #stoneacre on Instagram, and you’ll be presented with plenty of images taken by or at a certain well-known car sales showroom chain. We had to rule those out, so we went for #stoneacrent (‘nt’ indicating ‘National Trust,’ and commonly used in this way).